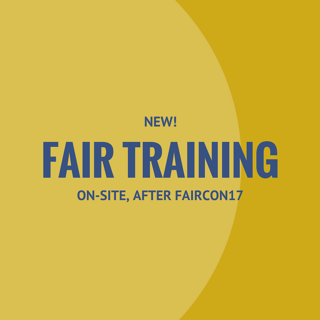 Here's a high-level agenda outlining all the exciting events happening at FAIRCON17, as well as the optional Introductory FAIR Training add-on course. We hope you can join us for both! More agenda details are to come as we approach the event, in addition to our full speaker lineup. 09:00 - 9:45 AM Keynote Address: Risk Management in 2017: Where Do We Go from Here? 04:15 - 5:00 PM Presentation: What Metrics Matter in Risk Management? *Attendees are free to depart for lunch on their own, the airport and/or to explore Dallas, but are encouraged to stay for RSA Charge conveniently taking place, Oct. 17-19, at the same hotel. RSA Charge’s “Early Bird” ticket pricing discount conveys to FAIRCON17 attendees who sign up at any time to attend Charge. For those staying on for Introductory FAIR Training on-site, see below. Attending RSA Charge as well? Don’t miss out on their various events this day, including: Lunch & Dessert; Breakout Sessions; and Archer “Super Session” where Jack Jones, the creator of FAIR, will be a guest speaker.